SUPERIOR TECHNOLOGY – Unlike most repellers that emit a single ultrasonic wave, GizmoMate Pest Repeller gives out TWO different ultrasonic waves and ONE super-low electromagnetic wave. These waves automatically alternate, ensuring that rodents and insects do not become accustomed to the sounds. REPEL RODENTS FAST – Effects can be observed almost immediately, as the multiple high frequency waves create an unpleasant environment for pests, renders them uncomfortable, and affects their appetite and lose reproduction/invasion abilities. LOW COST & CHEMICAL FREE– Get rid of pests naturally without having to spend on harmful chemicals or insecticides, or having to clean up dead pests. 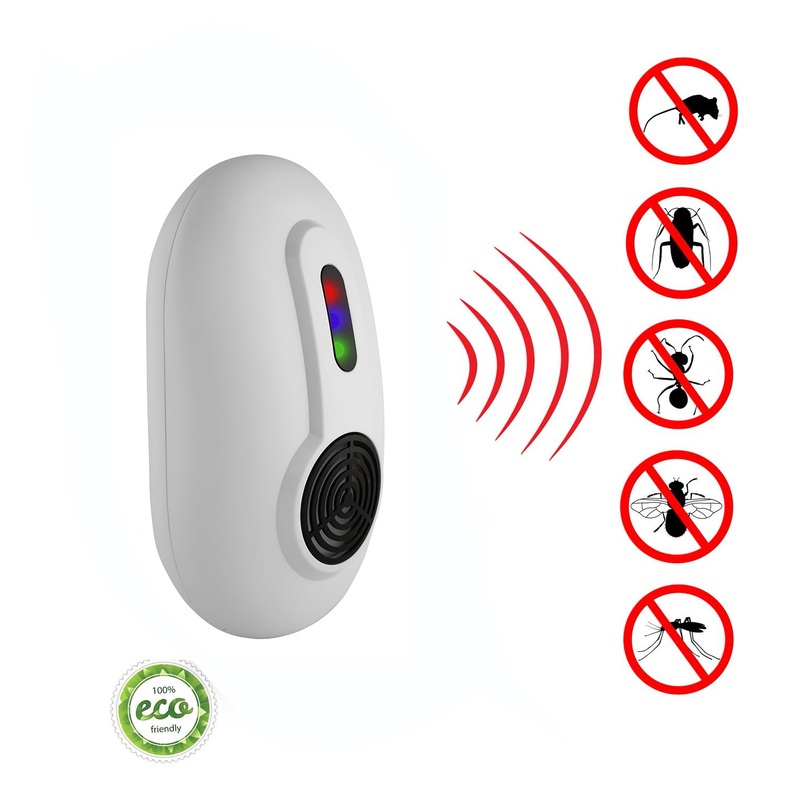 The device automatically drives the pests away for you. 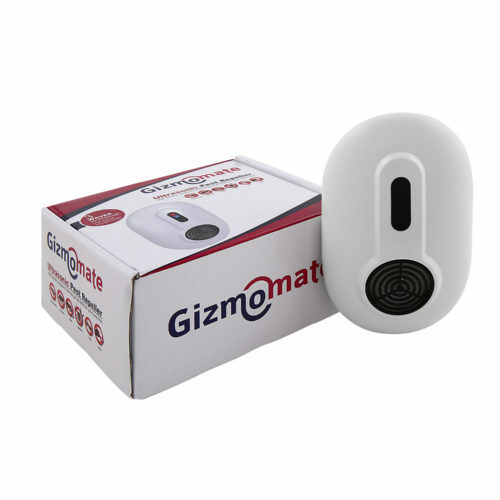 WIDE REPEL COVERAGE – GizmoMate Ultrasonic Pest Repeller has a coverage area up to 1100 sq ft. Deploy it at home, in your office, the garden, or backyard. 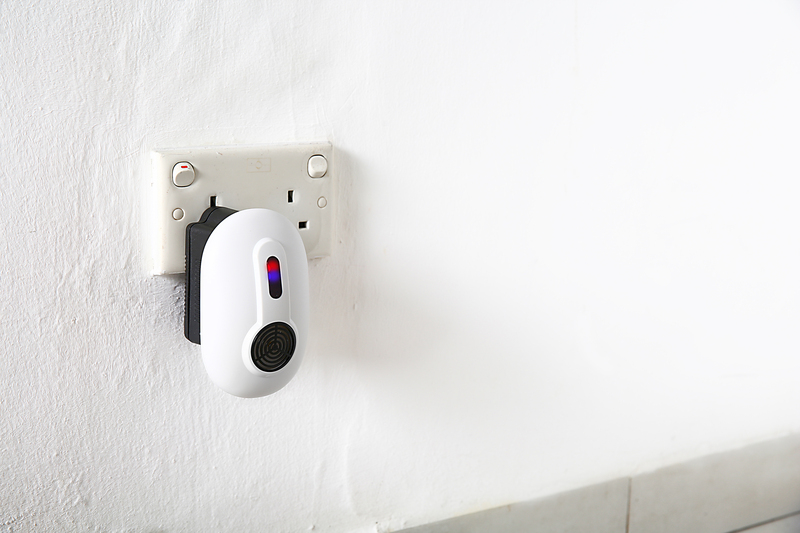 SIMPLE PLUG & PLAY – Simply plug it to any regular 110V outlet and the device begins working. Since ultrasonic waves do not penetrate walls and thick surfaces (furniture, cabinets etc. ), it is recommended to install one device in each infected room. Super effective against mice and rats. It also affects roaches, spiders, fleas, crickets, moths, mosquitoes etc. The soundwaves affects the hearing and nervous system of rodents and other insects, thus irritates them causing them to flee the area. The 3 different waves constantly vary and alternate, preventing pests from becoming immune to it. Hands-free, non-toxic and chemical-free method of getting rid of pests. Very low power consumption (< 15W) and works 24/7 all year round! Works almost instantly! Best results seen after continuous use for 2 -3 weeks. It is normal for mice activity to increase at the beginning due to the severe irritation they experience. GizmoMate’s 3-Wave Technology Pest Repeller is highly effective in repelling a variety of pests in homes, shops, hotels, restaurants, offices, gardens, or your backyard. 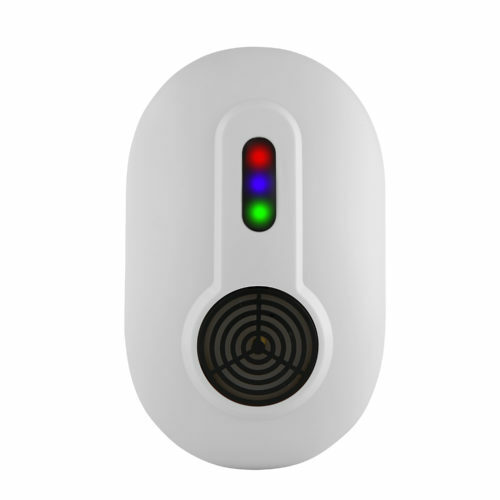 The instant you plug the device into the socket, the red LED will be flashing, indicating the low electromagnetic wave (0.8Hz – 8 Hz) is being emitted. The blue LED indicates that the first ultrasonic wave (20 – 55 KHz) is working. Lastly, the green LED indicates that the second ultrasonic wave is working (35 KHz). *For full instructions and principles, refer to the user guide included with the product.